Hey there! I’m Jess from East Coast Creative (formerly The Real Housewives of Bucks County), which I co-write with my best friend Monica. We’re thrilled to be here again, and LOVE this series that Denise came up with! She’s super-creative, isn’t she? 😉 Today, I’m going to share what’s in my bag, and in a few weeks, Monica will be back to share what’s in hers. Ok, let’s do this thing! Let’s talk about these towels: I got the towels you see in the bag from Target last year, but just added two of these babies from Ikea to our collection. They’re huge and thick and perfect. Love that price, too! I can’t get enough of this Coppertone Water Babies lotion for my kiddos- it smells like summer to me! Plus, the spray thing is just ingenious. Thank goodness some person at Coppertone understands kids and their impatience with suntan lotion. I also always bring snacks along- mostly for myself, but sometimes I share with the kids. 🙂 This bag is also from Thirty-One Gifts, and fits two sippy cups and lots of snacks inside. Fresh fruit is a must! And of course, I’m hooked on reading books on my Kindle Fire. Isn’t it crazy how quickly you can have a new book in your hands, whenever you want one? It’s dangerous, I tell you. 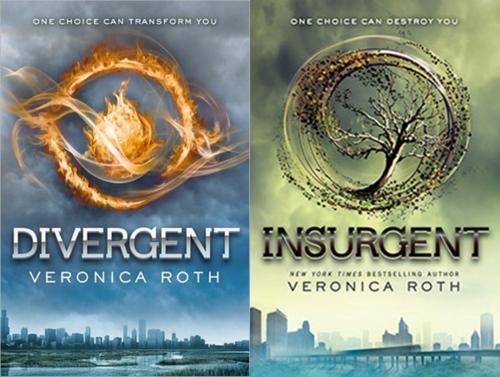 I just finished reading books 1 and 2 from the Divergent Trilogy, and it was AMAZING. I’m still thinking about them weeks after I read them. Really good read,people. 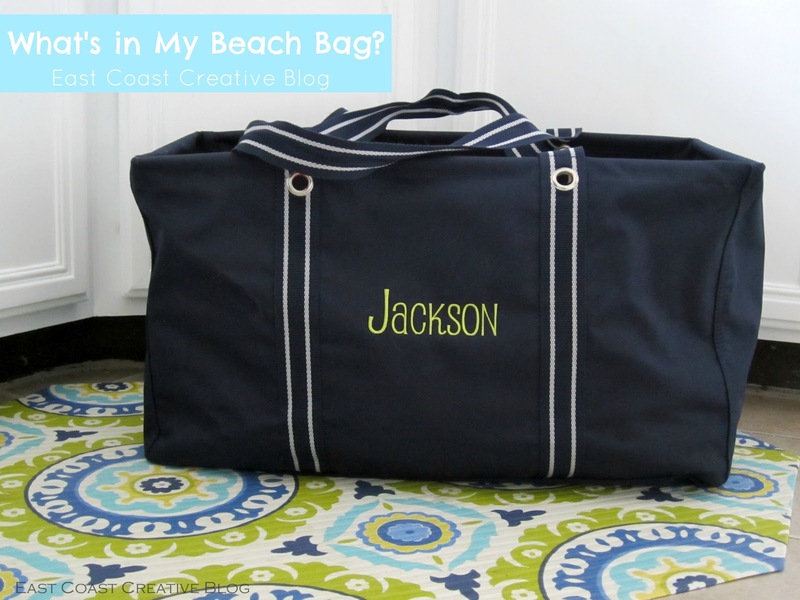 So, that’s what’s in my beach bag this summer! We hope you’ll come on by to our little slice of blogland to check out what projects we’ve been tackling this summer. Thanks so much for having me, Denise! This was so much fun! Thanks Jess, always fun having a local blogging friend guest post. Love that area rug under your bag too! Thanks for spillin’ the goods! I love that bag in those colors. My daughter sells Thirty-One, so I'm working on my collection of bags.